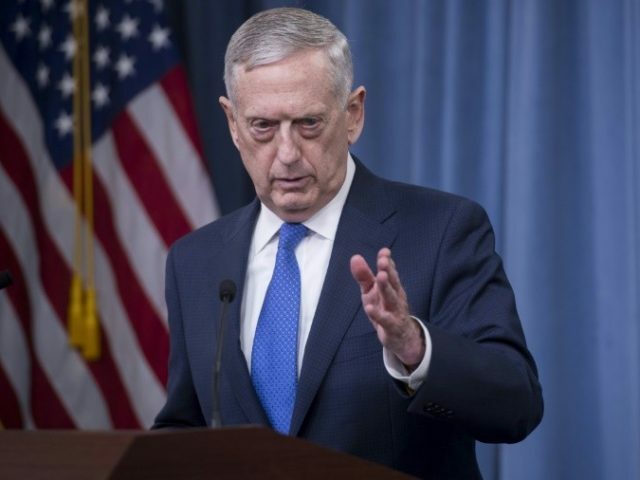 WASHINGTON, DC — The Pentagon is moving away from the war on terror, choosing instead to primarily focus on deterring “strategic competitors” China and Russia, U.S. Secretary of Defense Jim Mattis stressed while testifying before a Senate panel on Thursday. The global situation is sobering. Russia is modernizing its full range of nuclear systems while espousing a theory of nuclear escalation in military conflict. China, too, is modernizing and expanding its already considerable nuclear forces, pursuing entirely new capabilities. China is also modernizing its conventional military forces to a degree that will challenge U.S. military superiority. While recent events have given rise to a sense of positive movement, North Korea’s nuclear provocations threaten regional and global peace and have garnered universal condemnation by the United Nations. Iran’s nuclear ambitions also remain an unresolved concern. Globally, nuclear terrorism remains a tangible threat. Mattis testified alongside Gen. Joseph Dunford Jr., the chairman of the Joint Chiefs of Staff. 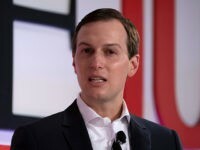 In addition to China and Russia, the Pentagon identified Iran and North Korea as strategic competitors that threaten the United States. Although the Department continues to prosecute the campaign against terrorists, long-term strategic competition – not terrorism – is now the primary focus of U.S. national security. Nations as different as China and Russia have chosen to be strategic competitors as they seek to create a world consistent with their authoritarian models and pursue veto power over other nations’ economic, diplomatic, and security decisions. Rogue regimes like North Korea and Iran persist in taking outlaw actions that undermine and threaten regional and global stability. Mattis and Dunford did concede that the Islamic State (ISIS/ISIL) and other jihadist groups remain a menace to the United States. “Despite our successes against ISIS’s physical caliphate, violent extremist organizations continue to sow hatred, incite violence, and murder innocents,” Mattis testified. Moreover, the Taliban, which controls or contests about half of Afghanistan, recently rejected a U.S.-backed peace offer by Kabul and vowed to kill and capture American troops. Both Pentagon officials emphasized that while the United States maintains a competitive advantage over adversaries like China and Russia, that advantage has “eroded” over time due to sustained operational commitments, budgetary uncertainty, and advances by America’s rivals. Our military remains capable, but our competitive edge has eroded in every domain of warfare – air, land, sea, space, and cyber. The combination of rapidly changing technology, the negative impact on military readiness resulting from the longest continuous period of combat in our Nation’s history, and a prolonged period of unpredictable and insufficient funding, created an overstretched and under-resourced military. The U.S. military has a competitive advantage over any potential adversary today. I’m confident we can deter a nuclear attack, defend the homeland, meet our alliance commitments and prevail in any conflict. But, as we previously discussed, after years of sustained operational commitments, budgetary instability and advances by our adversaries, our competitive advantage has eroded, and our readiness has degraded. Dunford noted that the United States is engaged “in a fierce competition” with China and Russia to militarize emerging technologies. Our adversaries—particularly China and Russia—continue to develop concepts and invest in capabilities specifically designed to counter our advantages. The United States military is in a fierce competition to harness the benefits of emerging technologies—including hypersonics, artificial intelligence, directed energy, and biotechnology—as these developments will fundamentally change the character of war.